"Princess Princess" is a twelve-episode Japanese anime series that is directed by Keitaro Motonaga and produced by Studio Deen, with its original airing starting from April 5, 2006 until June 21, 2006. Media Blasters had obtained the North American license for the series. 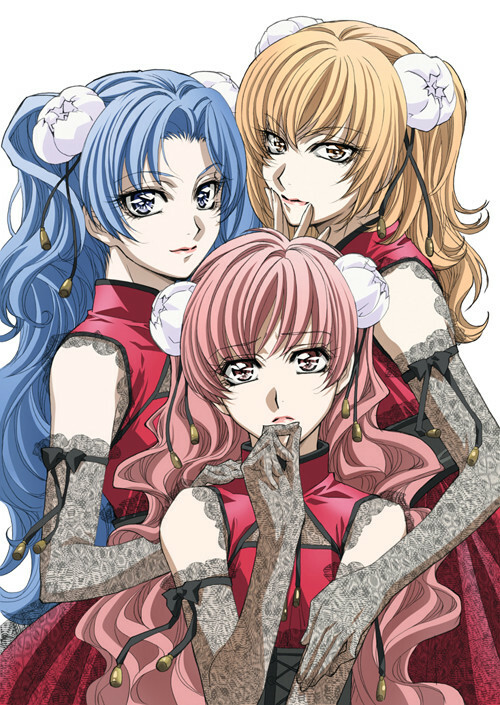 Like many anime titles, Princess Princess is based on and adapted from a manga. The manga was authored by Mikyo Tsuda with its original run from 2002 until 2006, with 5 volumes total. Despite the name of the title, Princess Princess is not a chick-flick anime. Princess Princess is very far from the genre. This anime series is pure comedy. In short, Princess Princess is not a chick-flick or a magical girl anime series. In a sense, Princess Princess feels like a slice of life-themed anime with a few subplots. 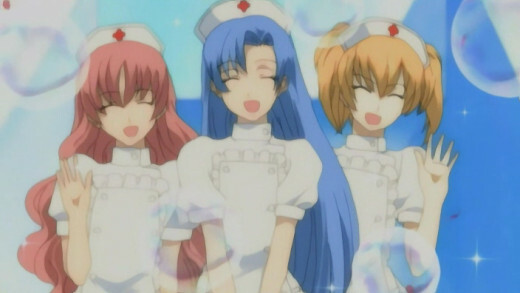 However, the characters connect Princess Princess with a few of Mikiyo Tsuda's other works. But, Princess Princess is the only manga authored by Tsuda that has been adapted into an anime series. The anime has an interesting and humorous plot device that drives the story of Princess Princess. Princess Princess' setting is an all-boys school known as Fujimori. Fujimori Academy is the most elite school in the area. At this school, there is a system known as the Princess System. Certain boys that meet certain qualifications are chose to become "Princesses." When I first watched the series, back in 2007, I originally thought it would be one of those titles that appeals strictly to the female demographic. After watching the first episode, I was shocked that it was far from it. 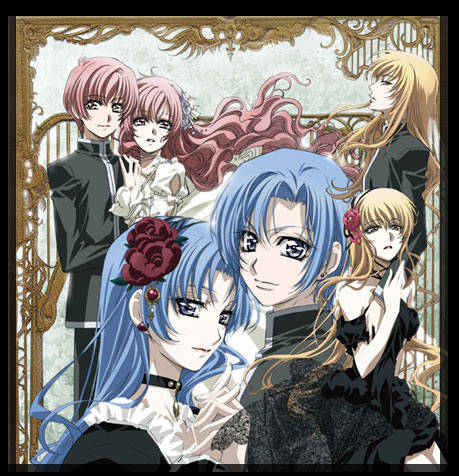 I am glad that I gave Princess Princess a chance as it became one of the most entertaining anime titles I had come across. The first two episodes give a gist of the story and shows that it's pretty much a character-driven slice of life story with plenty of comedy and drama. Princess Princess takes place at a very prestigious all-boys school called Fujimori; then comes newcomer Toru Kouno who is a transfer student to this school. 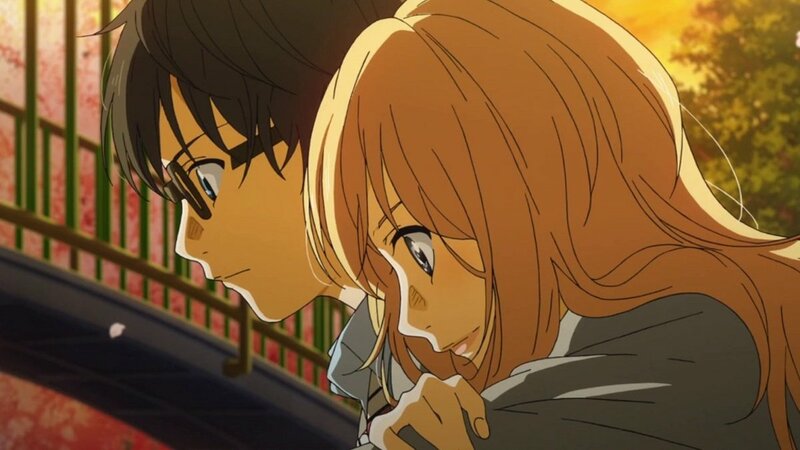 When arriving at this prestigious school, Toru comes across a very beautiful looking princess. The mysterious princess, surprised and scared, quickly runs off with several male students running after her. Toru questions it and starts his first day as normal. However, he keeps getting plenty of compliments without know why. Then, he gets called to the office of Fujimori's Student Council. If there is a conflict between school work and the duties of a Princess, you get to leave class early to fulfill such duties. Doing so would be considered school vacation and would not be considered an absence on the school record. Each month, the Princesses receive 30 lunch vouchers. That means they don't have to pay for their lunches. All necessary school supplies, like school apparel, are covered by the Princess budget. It is revealed that the Princess budget is the largest student budget of Fujimori. For all pictures taken with the school's photography club, the Princesses get partial profit from them. But, the candidate selection process is strict. The candidates have to be freshmen due to their bodies not being developed, needing to have good looks, being popular, etc. A duty of a Princess is taken seriously as they have to participate in various events. Hearing about the benefits, Toru immediately jumps on the opportunity for freebies and free time. 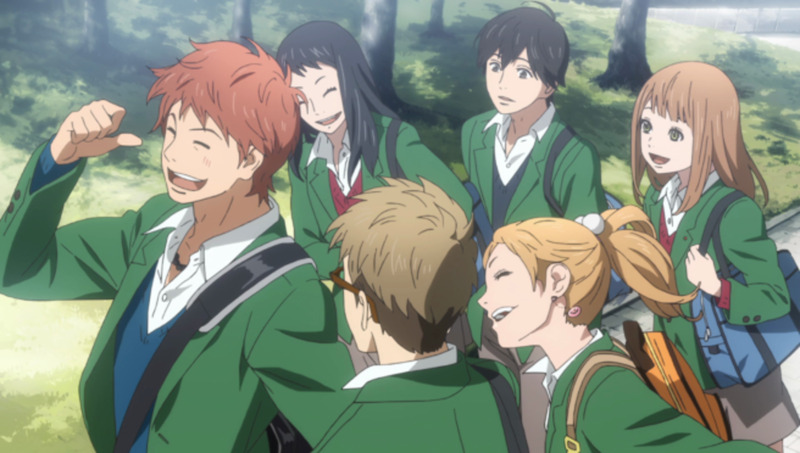 The student council admits that life is monotonous due to Fujimori being an all-boys school. Having the Princesses around makes life more enjoyable. Then, the story focuses on the Princesses participating in different school functions. At the same time, it focuses on subplots of Toru & his step-sister Sayaka and Mikoto not wanting his girlfriend Megumi to find out about his school position (this is due to the story of the manga “The Day of Revolution”). Princess Princess has a unique original story; at the same time, it stands strong alone while loosely being connected to the story of The Day of Revolution and "Family Complex." This is one of the most original stories that I had come across. Princess Princess has a very extensive cast of characters, while focusing on the three school Princesses, who are able to contribute to the story in their own way. For a story like Princess Princess to work, you need to have characters with different personalities and views on the Princess system to provide believability. It seems that much care was taken when introducing characters from Tsuda's other works in regards to plausibility. While there are characters from Tsuda's other works present in Princess Princess, they do not take away from the Princesses who are the ones that drive the story of Princess Princess. The issues with each of the Princesses are crucial for the story development as well. 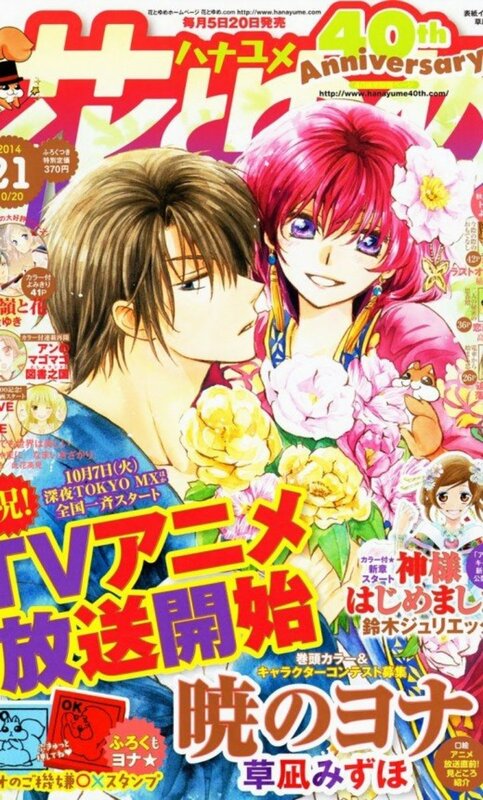 Toru Kouno – The primary main character of Princess Princess, Toru transfers to Fujimori to get away from family life. He was adopted by his aunt and uncle due to his original parents dying in an accident. However, the catalyst of Toru transferring to Fujimori is because of his cousin and foster sister Sayaka who has an unhealthy romantic obsession with him. Toru transferred to get away from her; he takes on the role of a Princess as it is a means to escape his personal problems. Of all the main characters, Toru happily takes on the role of Princess. Yuujiro Shioudani – Yuujiro comes off as the calm and collected person; he's pretty neutral about being a Princess. 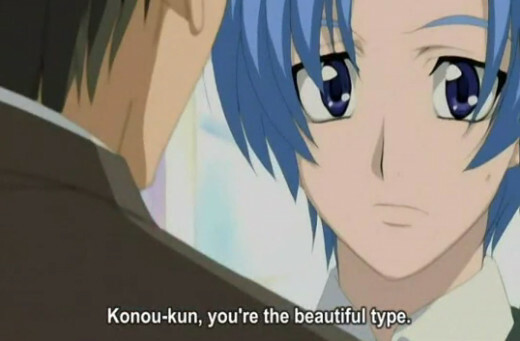 He doesn't embrace it like Toru does nor does he reject it like Mikoto does. At the same time, he comes off as the cool and distant person. Yuujiro adds balance to the cast; also, he likes to tease Mikoto about being a Princess. At the same time, he becomes a good friend to Toru as the series progresses. Mikoto Yutaka – Mikoto absolutely hates being a Princess; but, he still comes through with his duties at school. He is very vocal about how he dislikes being a Princess. His insecurities are revealed due to the link with The Day of Revolution which focuses on Megumi who used to be a male named Kei. Being chosen as a Princess puts Mikoto in an awkward and compromising position. Then, you have other characters such as the student council being led by Shuya Arisada who was a Princess during his freshman year. He is assisted by Masayuki Koshino who is the VP, Wataru Harue who is the treasurer with good math and equation solving skills, and Takahiro Tadasu who is very fast. There's also Akira Sakamoto, who is the class present of Toru's class. While not a Princess, he is respected by his peers. He has his own issues which are explained in the manga series Family Complex. Finally, there's the eccentric Kaoru Natasho who is a home economics major responsible for designing all the clothes for the Princesses. So far, I was pretty satisfied with the cast. The cast members pretty much balanced themselves out. Through the cast, it shows Princess Princess it not really a chick-flick. Just about anybody can appreciate the comedy aspect. It gives something to think about if anybody's going to an all-boys school with little to no contact with females at all. 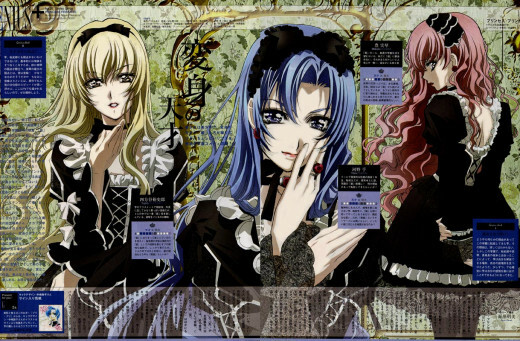 Above is the opening cinematic for the live action series called "Princess Princess D." The plot line of Princess Princess D remains the same; the story itself deviates from the manga and anime. It focuses on Mikoto with his girlfriend not being present. 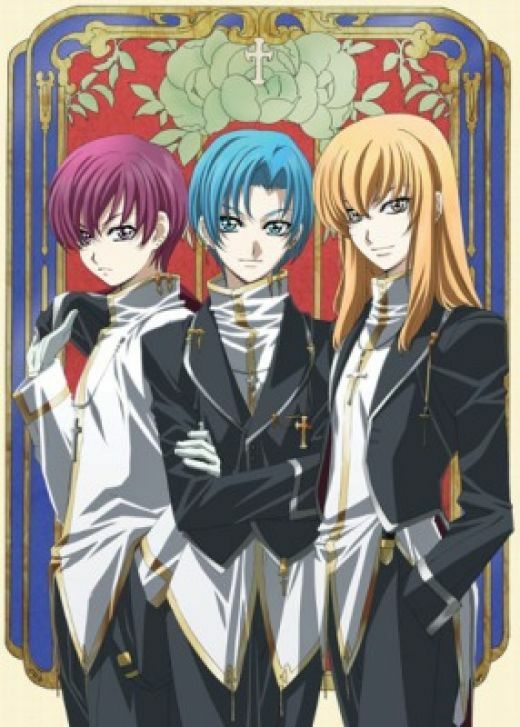 Princess Princess D introduces an antagonist named Otoya Hanazono who's not satisfied with the school's princesses; instead, he gets two other guys as they form the Dark Princesses. This series has no female characters and instead focuses on the platonic and growing attraction between Mikoto and Otoya. I felt the visuals of the animation was appropriate for Princess Princess. This is an example of how contemporary Japanese culture, in regards to pop culture, is being expired by Western European culture. One can see the romanticism of Western Europe (in regards to England, France, Germany, etc.) in Princess Princess. The most important aspect of the visuals would be the Princesses; while they are boys, you can't tell if they are when they are dressed as Princesses. This is because they look like actual princesses; plus, add in some cosplay as well. It is something that takes more effort in live-action drama. If I had to choose between the anime and the live-action version (called “Princess Princess D”), I'd choose the anime hands down. In short, the visuals had that European feel down to a cue. Princess Princess is a pretty decent Japanese anime series to watch. Don't be misled by the title as it says Princess Princess. Though, this is still something that appeals to the general female demographic and definitely the LGBT demographic. If you want an anime series that has a good story, Princess Princess is something to check out. So far, Princess Princess definitely has something for everybody. Sounds cute, I might look for the manga. Interesting review. I've only seen the first episode of this anime, but you have inspired me to check out the rest of it.